2 Full time GPs needed for great practices in the southern suburbs of Perth. A fantastic team with all the support you need to settle in quickly, both in you professional and personal life, and make a great income. 65% of billings rising to 70% of billings with an income potential of up to $400k AUD. Hourly guarantee for the first 3 months. Looking for GPs who have a genuine commitment to patient care. Opportunities to become a business partner in this growing group of practices. 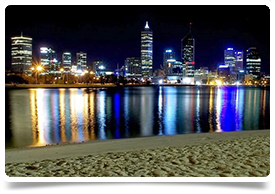 2 Full time GPs needed for one established and one new practice both based only 20 minutes south of Perth. Hours will be approximately 40 hours per week. You will be offered 65% of billings in the first year rising to 67.5% in the second year and 70% the year after. Hours are flexible with some after-hours and weekend work involved. The existing practice currently has 4 GPs. They require another GP due to increasing patient numbers. The practice is mixed billing and you will see a range of patients from young to old. You will be supported by a full team of nurses, practice manager, admin staff and various allied health professionals. On going medical training and specialists interests will be fully supported and encouraged. The practices are in the southern suburbs of Perth, only a 20 minute drive from the city centre and the beach respectively. They are also close to a several nature and marsupial reserves.